This morning I tried to get into The Seasons Story to get Beetlebones’ new corgi pet, but it was so laggy I couldn’t walk around much! I’m pretty disappointed about the shopping trip being a bust, so I’ll just show you this cool avatar from Water Horse instead. I’m the type of Second Life user who likes offbeat avatars. I have a petite, all of the avatars from Nuville Horrors, and various tiny avatars I’ve collected over time. If it’s weird, comes with an AO, and will make people stop and stare at it, then I’m wearing it. 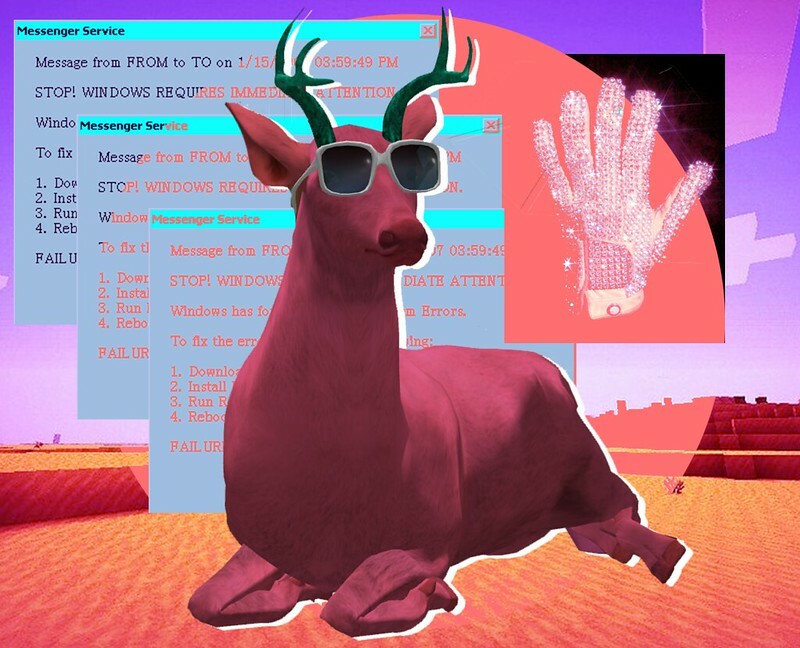 So when I saw someone wearing this deer avatar on a random sim, I had to have it! 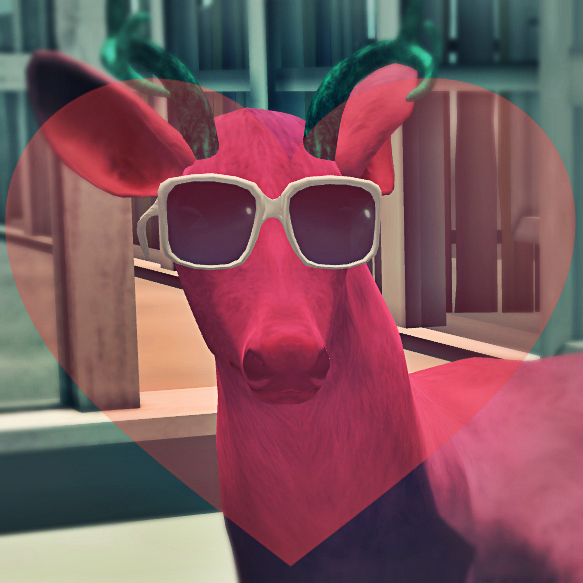 It’s moddable and comes with a texture of the deer’s skin, so you can create your own and apply it to your avatar. It also has an AO with some cool moves, speed control so you can either walk very slowly or run, plus a few dances and sounds. Whether you’re roleplaying with this or just want to walk around freaking everyone out, it’s a great buy. As you can see, I colored mine pink, made the antlers blue, and stuck some glasses from Yummy on it. I honestly can’t see myself wearing this avatar unless it’s some weird color that makes it stick out like a sore thumb on the grid. Then again, it is the internet. Weirdness kind of lives here. Do you have any non-human avatars? How many? Do you wear them often? Do you know of any I should try? Let me know in the comments! My friends and I run around on 1800’s Wild west sims as horses. Check out Breeders choice as well, they are pretty good!